Why pick up the Spartans’ signal caller? Check out his fantasy playoff matchups: Michigan State hosts Maryland and travels to Rutgers. Over the past two contests, Lewerke has passed for 630 yards and tossed five touchdowns. A dual-threat playmaker, he has rushed for 343 yards and scored three times on the ground this season. College fantasy managers must be patient with Penn State and Ohio State on the schedule in the next two weeks. However, Lewerke could be a difference maker in the post-season. 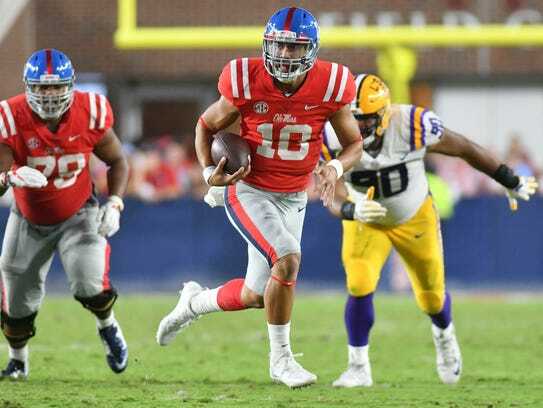 The Rebels lost Shea Patterson for the remainder of the 2017 crusade, and Jordan Ta’amu takes over the reigns of the offense down the stretch. The 6-foot-2, 212-pound junior is a two-way fantasy competitor and produced a fantastic game versus Arkansas on Saturday: He passed for 368 yards, rushed for 76 and scored two times on the ground. In the next two weeks, Mississippi travels to Kentucky and welcomes Louisiana-Lafayette. In both contests, Ta’amu should continue to make plays and yield fantasy points. On a top ten team in the nation, it is uncommon that the principal ball carrier becomes available on so many waiver wires. 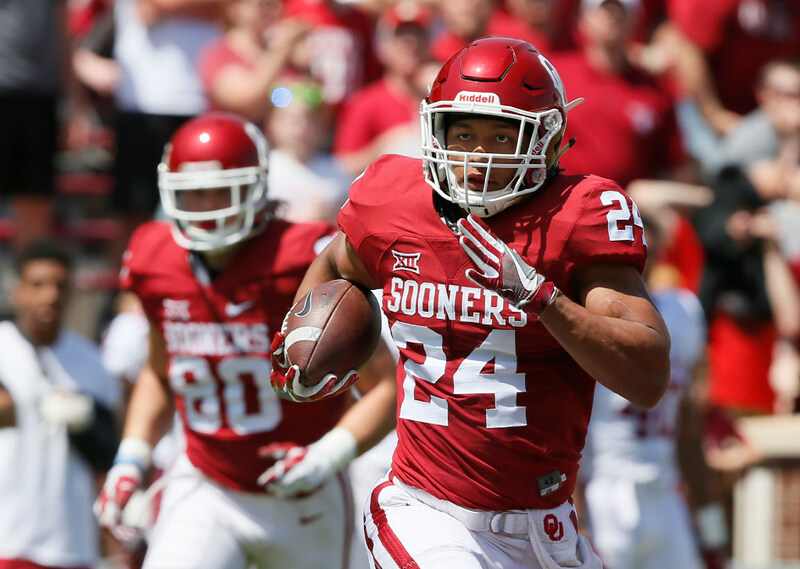 After the Sooners lost against Iowa State, Anderson became more involved in the game plan, and for the first time during three seasons on campus, he started versus Texas Tech on Saturday, gaining a career-high 181 yards on the ground. Over the last two weeks, he has been a fantasy stud, earning 43 carries for 328 yards and two touchdowns. Coach Lincoln Riley may have found the next great Sooner runner, and astute college fantasy footballers must jump on the bandwagon. The senior ball carrier continues to out perform the expectations of college football diehards. Wilkins has recorded double-digit points in five consecutive games and bettered 20 points in four contests this season. In three outings, Wilkins has reached the century mark in rushing yards while rambling for 586 yards and five touchdowns this season. Great matchups in the upcoming two games foretell continued success for Wilkins. Even before the Cody Thompson’s season-ending injury, Diontae Johnson warranted a roster spot on college football rosters. Against Ball State last Thursday, Johnson subjugated the Cardinals with four receptions for 170 yards and two touchdowns. He also returned a punt 87 yards for another score. The sophomore has averaged 19.3 YPC on 36 catches and reached the end zone eight times so far in 2017. The Rockets offense ranks ninth in the nation, averaging over 40 points and 500 yards per game. If Johnson is still available, seize him this week for the upcoming playoffs. A true freshman, Wright did not arrive on campus until the summer and missed two games early in the season; nevertheless, the Florida Atlantic speedster has been impressive as a rookie. The 5-foot-8, 155-pounder caught eight passes for 144 yards against North Texas on Saturday. For the season, the Owls’ big-play threat has snatched 21 passes for 329 yards and four touchdowns, including scores from 69 and 95 yards away. The Owls offense ranks among the most explosive in the nation, and Wright might hit a few home runs down the stretch.